Believe-A-Bubble is a superb and unique show that will amaze the whole family. 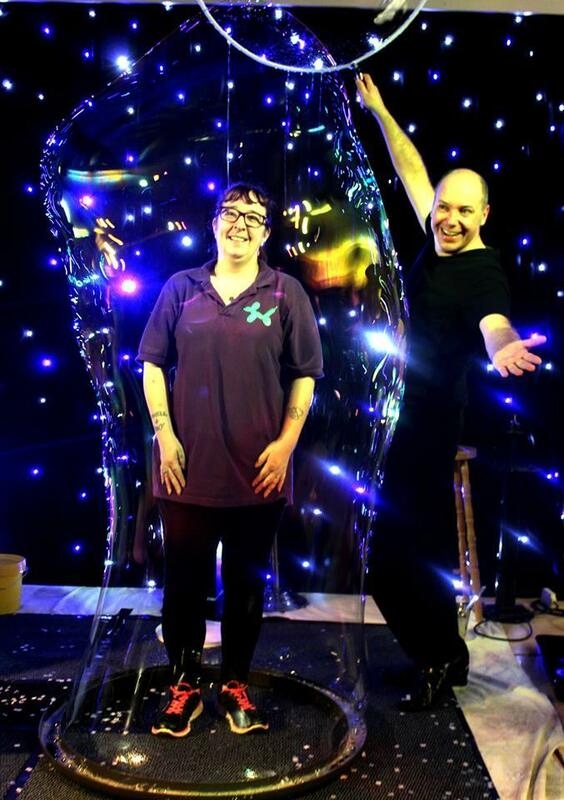 Step into an interactive bubble world and be dazzled by spellbinding bubbles of all shapes and sizes. Forget everything you thought you knew about soap bubbles. 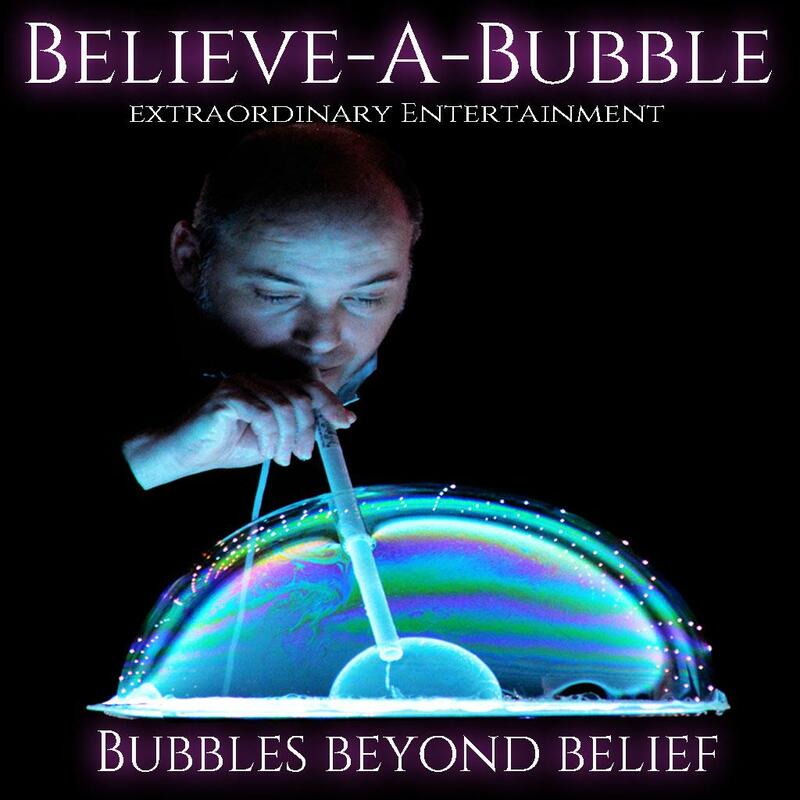 Believe-A-Bubble is an exciting show unlike anything you have ever seen before. Audiences of all ages are sure to be enchanted. You’ll smile, laugh and feel like a kid all over again! We are available across the whole of the UK. 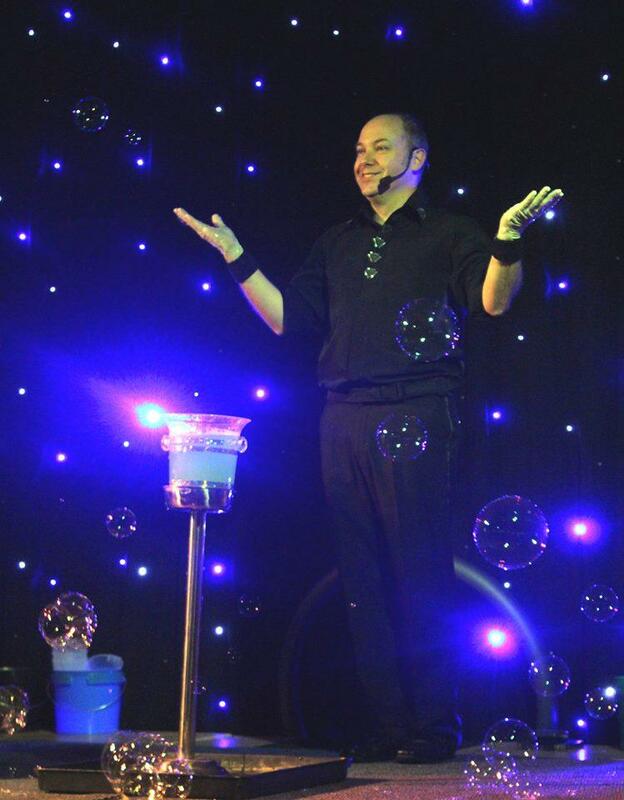 The show runs for approximately 50 - 60 minutes and is crammed with exciting bubble tricks that will get ooh's and ahhs from the audience. Watch as the fun of the fair is created in bubbles with the bubble carousel, a mathematical impossibility is proved not only possible but stunningly beautiful with the square bubble. See a galaxy of bubbles created with bubbles inside bubbles, quirky bubble tricks with the bouncing bubble, inside out bubble, smoke bubbles and bubble volcanos. Witness teeny tiny bubbles right up to bubble tubes and arches that stretch across the stage. 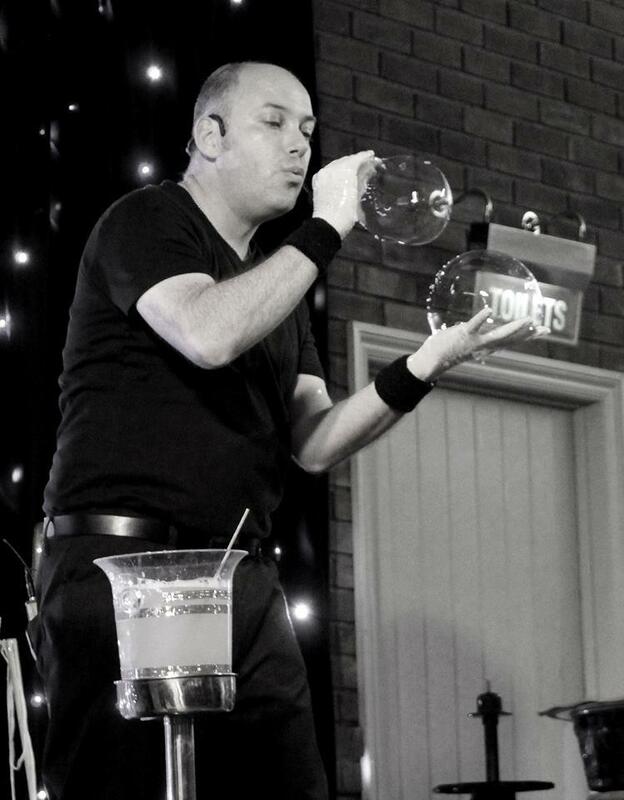 And hold your breath for something truly remarkable as members of the audience are put INSIDE a bubble. There are some magical moments during the show where the look of disbelief on the volunteers face just has to be seen to be believed. And the finale is truly breathtaking as it concludes with millions of bubbles filling the stage. Technical part. 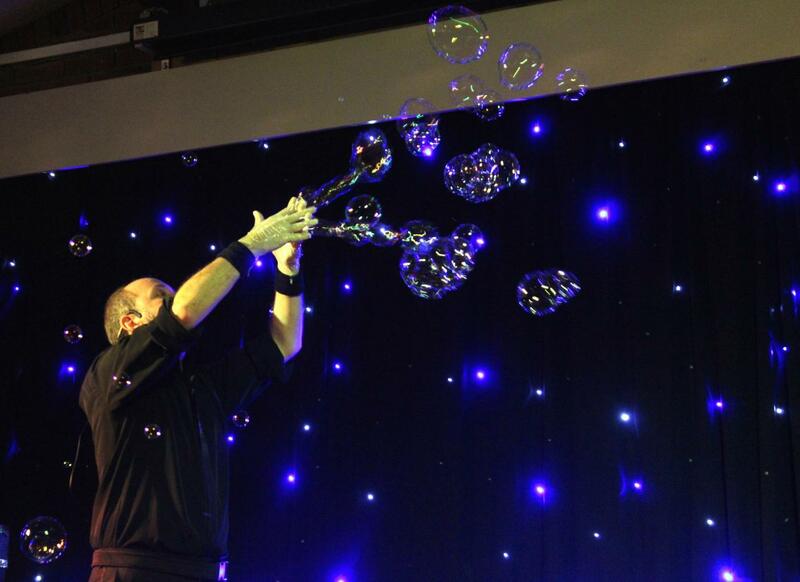 A bubble show is messy! However we do put our own waterproof floor down to protect yous. A performance space no less than 3 metres deep by 4.5 metres wide is required. Slightly larger if we have to provide our own P.A. As far as possible we aks that draughts are minimised so any fans / air con may need to be turned off during the performance. It takes approximately 40 minutes to set the show and pack it down again SAFELY. Please allow longer if we need our own P.A. Please note that Believe-A-Bubble is an INDOOR show only. If you would like more information, please don't hesitate to get in touch. Complete the form below to receive a FREE quote from Believe-A-Bubble and similar Rated Performers or suppliers.